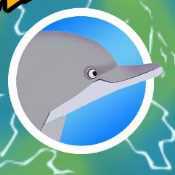 Fun accelerometer-based games for Wild Kratts fans and animal lovers, which build in some science facts. 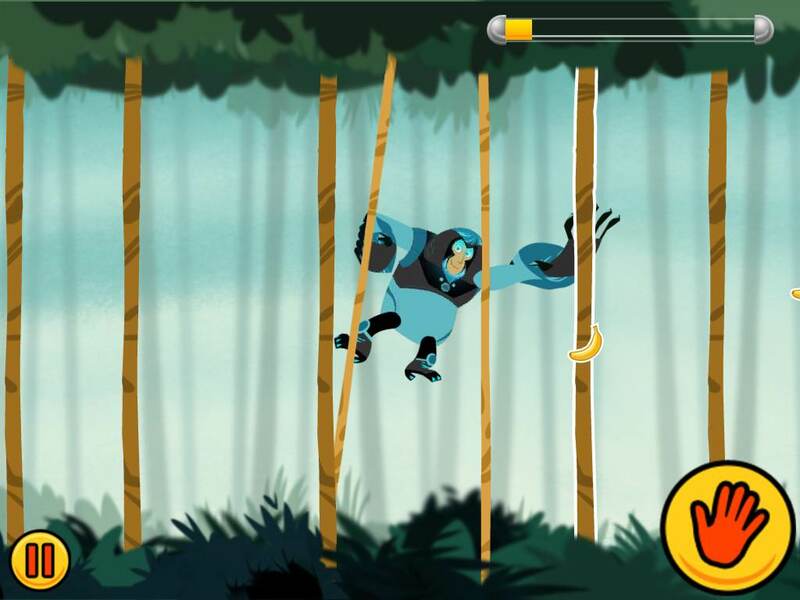 Wild Kratts World Adventure is based on the popular PBS Kids show and features three nature games with ten levels each. Kids can choose whether to suit up as a woodpecker searching for beetles, a dolphin collecting trash, or an orangutan swinging through the forest to gather fruit. The games require patience, timing, and coordination; and the levels become progressively harder. 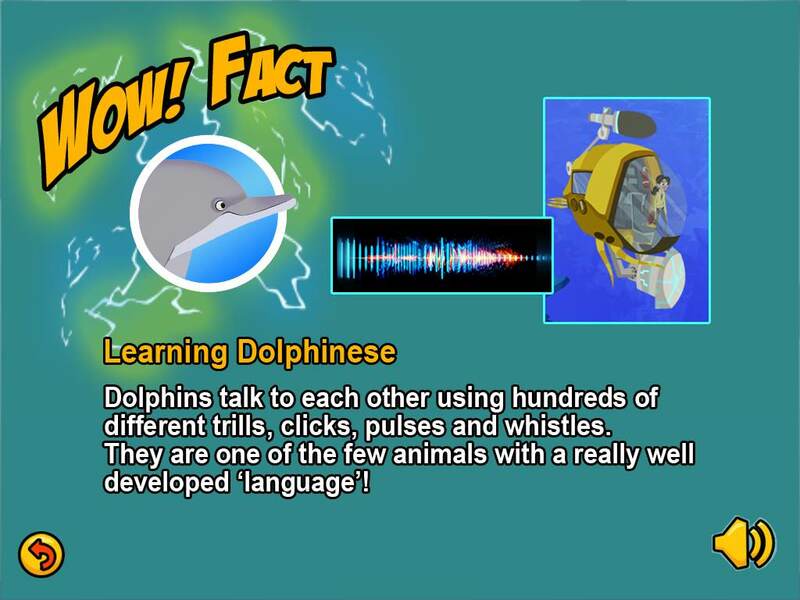 Players are rewarded with digital stickers and fun facts about the animals. Kids can also take a picture of themselves in the animal suit! First up: choose your creature! Next, you're transported to that creature's habitat somewhere in the world. In each game, one of the Kratt brothers dons an animal suit to show how that animal survives. 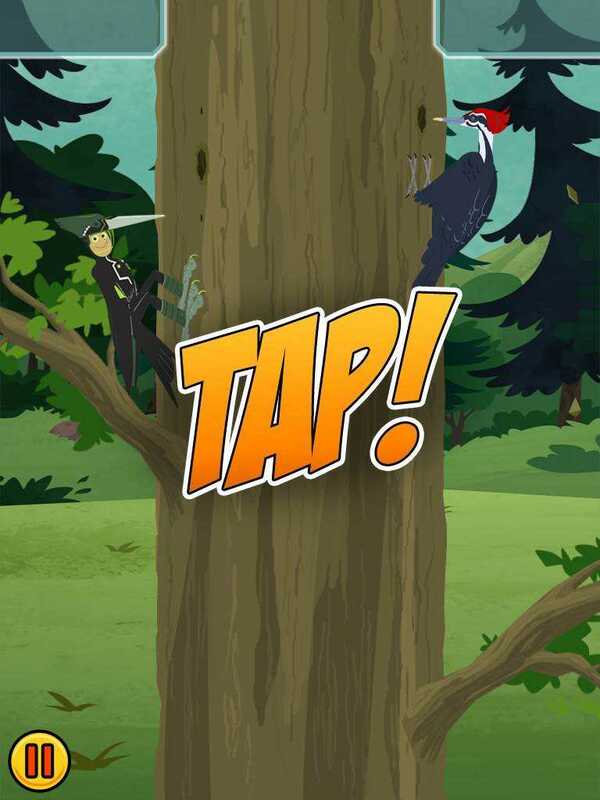 As a woodpecker, you'll tap a tree to reveal beetles...then tap tap tap tap tap TAP in a race to peck the beetle out! 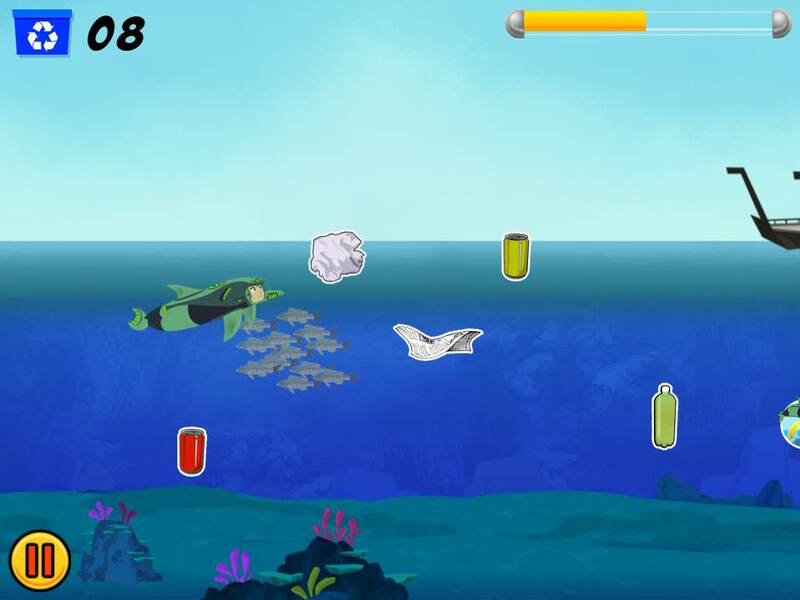 The dolphin game is a bit more challenging as kids tilt the device up and down, collecting trash discarded by the villainous Zach while avoiding obstacles like sharks. The orangutan game is the hardest to win because kids must master tilting from side to side to build momentum and then tapping at just the right moment to launch the orangutan to another tree, swinging in this manner while also collecting fruit. By playing well, kids earn stars allowing them to progress to the next level; and each of the 10 levels brings a bit more challenge to the game. Great play also reveals "Wow facts" about the animals and their habitats. Kids can take a ?selfie? of themselves in the animal suit, which will then appear on pages in their digital sticker album. They can also earn more stickers during the gameplay. Wild Kratts World Adventure draws kids in by using three different interactive game types that kids enjoy. It adds an educational context and periodically rewards players with facts. The rewards are fun, but they don't come quickly enough. Since the games increase in difficulty, your child will have plenty of room to improve, making this app provide a good value. The instructions are clear and enthusiastic, with plenty of positive reinforcement along the way. For younger kids, make sure to point out the audio button so that they can hear the earned science fact spoken aloud. This app uses parental gating, but it isn't effective for kids who are reading. They can easily get past it. Wild Kratts World Adventure is best for animal lovers and fans of the show who will enjoy helping the animals succeed! However, the orangutan game is all about timing, and may frustrate some kids. Despite the title of the app, there isn't much focus on geography or global adventure. While the games do take place in three different habitats around the world, the creatures are the main focus. 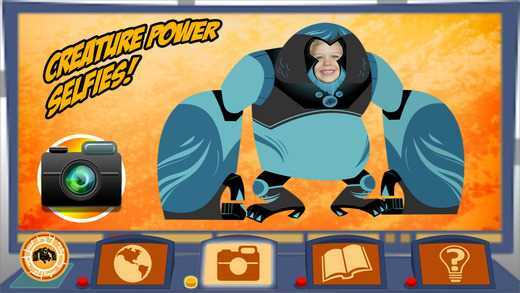 This Wild Kratts World Adventure app review was written by Liz K. McKinney.